Please type your desired tags, e.g. Security, Public and Nonprofit Management, Social Data Analytics and Research, Communication Sciences and Disorders, Psychological Sciences, Information Theory, Transcriptional Regulation, Professional Communication, Communication Theory, Publishing, wind energy, Business Communication, Social Studies Education, Public and School Libraries, Popular Culture, and etc. My research interests have focused on the neural basis of semantic memory in the human brain. My work, spanning several decades, has focused on identifying the organization of semantic memory in the human brain by proposing that there is both a categorical and featural structure to object memory that exists in multiple memory systems in the brain. My laboratory's recent studies have used functional neuroimaging and electrophysiological investigations to explore the neural mechanisms underlying combining these components of an object together to form an integrated object memory. They recently reported that one neural mechanism by which object recall can occur is via synchronizing gamma brain rhythms that are modulated by the thalamus and proposed the Neural Hybrid Model of Semantic Memory. I am now investigating object memory and word finding deficits in multiple disease states in terms of both diagnosing and designing treatment options based on this model. A distinct form of thalamic aphasia due to a semantic feature-Binding deficit. 2002–2002	Segal, J.B., Moo, L., Kraut, M., Hart, J. Cognitive Neuroscience Society, March, 2002. 2006–2006	Hart, J,Li, J, Pitcock, J, Calhoun, V, Kraut, M American Academy of Neurology, April, 4, 2006. Neural hybrid model of semantic object recall. 2004–2004	Hart, J International Neuropsychological Association and Australian Society for the Study of Brain Impairment, Brisbane, Australia, 2004. (Brain Impairment 2004; 5: 27). Thalamocortical evidence for a constructive memory framework. 2003–2003	Slotnick, S. & Hart, J Society for Neuroscience, 2003. Absence of anterior cingulate activation in schizophrenic individuals during a semantic feature-binding task. 2004–2004	Rivkin, P., Yassa, M, Hart, J, Kraut, M, Kanaan, R., Calhoun, V, & Pearlson, G. Society of Biological Psychiatry, 2004. Researchers from The University of Texas at Dallas have found that a standard therapy for post-traumatic stress disorder (PTSD) is more effective when paired with transcranial magnetic stimulation of the brain. 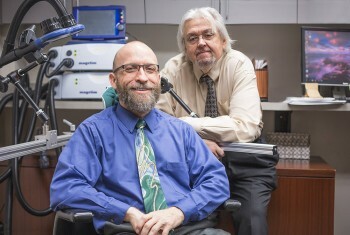 Dr. John Hart Jr., Dr. Michael Motes and a team of researchers examined whether the effectiveness of cognitive processing therapy (CPT) in treating PTSD could be boosted by adding repetitive transcranial magnetic stimulation (rTMS) just prior to the CPT sessions. A study led by the UT Dallas Center for BrainHealth examining the neuropsychological status of former National Football League players has found heightened incidence of cognitive deficits and depression among retired players. 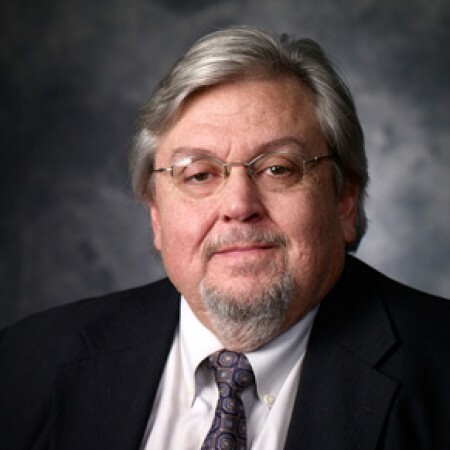 But researchers from the center and from UT Southwestern Medical Center say their study, published online Monday in JAMA Neurology, also is significant for what it did not find: evidence of cognitive impairment in the majority of ex-players. Researchers at Center for BrainHealth at UT Dallas have developed a test that may help detect who is at risk for Alzheimer’s disease. In a study published in the Journal ofAlzheimer’s Disease, scientists found that individuals with amnestic mild cognitive impairment (aMCI) have twice the risk of others in their age group of progressing to Alzheimer’s after identifying a specific variation in their brain waves. 1996-97 Ellen Deibert, M.D. 1998-99 Lauren Moo, M.D., Isaac Silverman, M.D.